Cool stuff coming soon. | Blog-O! I’ve been reviewing a patch from Andreas and Standard8 which adds lightweight theme support (aka personas) to Thunderbird. It’s so cool that I couldn’t resist taking a screenshot, and posting it for you all to see! 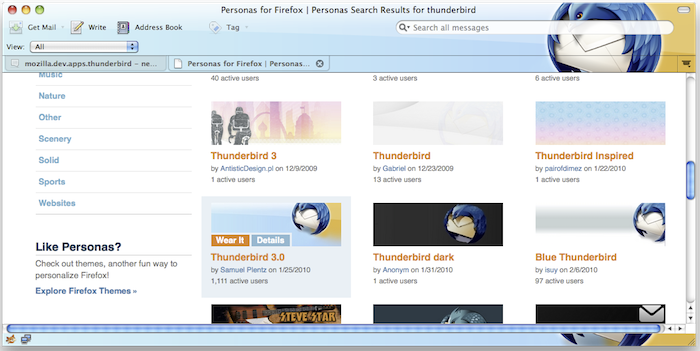 It looks like there’s a good chance the code will make it in to Thunderbird 3.1 beta 2, so with any luck, soon your Thunderbird will be a pretty as mine.